This is an absolutely stunning brick ranch with a full walk-out basement. 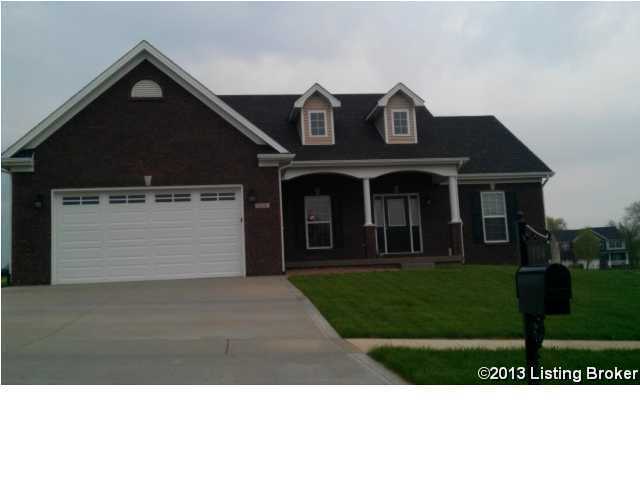 Home features beautiful hardwood flooring, ceramic tile, open floor plan with split bedroom arrangement. The master bath has a whirlpool tub with a ceramic tile walk-in shower, 2 fabulous walk-in closets, the kitchen is gorgeous with granite & a mosaic tile backsplash. You will also find a spacious family room in the walk-out basement & plenty of storage room. Enjoy sitting out back on your covered deck. 104 Mcclendon Hills Ln, Elizabethtown KY 42701 is a Home, with 3 bedrooms which is recently sold, it has 2,100 sqft, 0 sized lot, and 2 Car Garage,Attached,Entry Front parking. A comparable Other, has bedrooms and 0 baths, it was built in and is located at and for sale by its owner at $ 0. This home is located in the city of , in zip code , this County Other, it is in the Subdivision, and BRIGHT SIDE ESTATES are nearby neighborhoods.